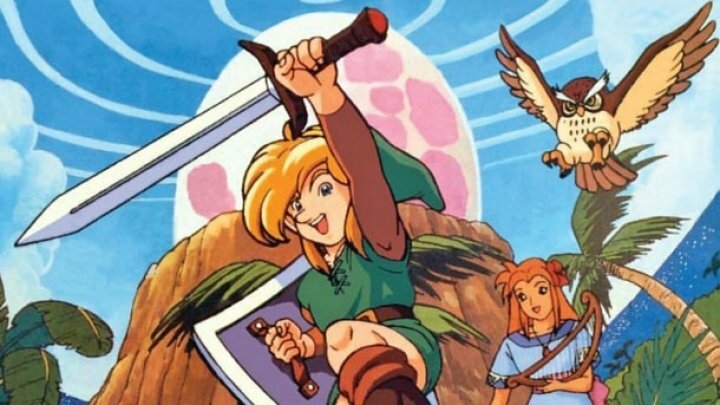 SNK's beloved run n' gun series has seen plentiful re-releases over the years, but it took the Nintendo Wii to give us the (then) entire mainline series on a single disc. 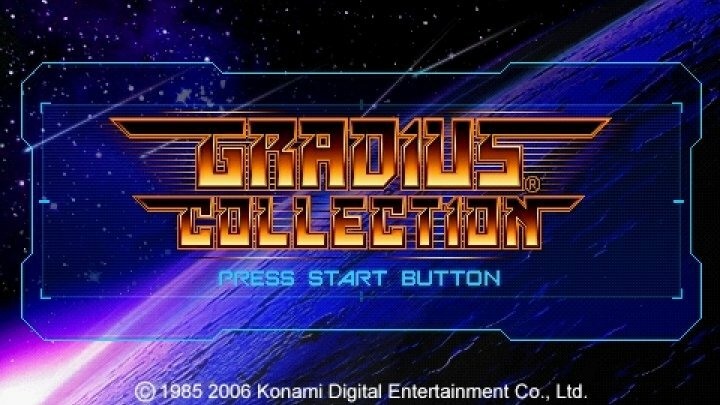 Yes, one of the earliest games released for the revolutionary motion-controlled console was a compilation of seven arcade games. Yes, Metal Slug and its five sequels (as well as Metal Slug 2's revision/special edition, Metal Slug X) are all here. Hours of blasting fun presented exactly as you remember it, for better or worse. You can observe the limited evolution of the series from pacey action platformer to leaden ordeal. Or - depending on your perspective - from staid, straightforward shooter to rich, content-packed masterpiece. The first boss of the original game. Not particularly challenging. I fall on the side that disdains the later games to some extent. 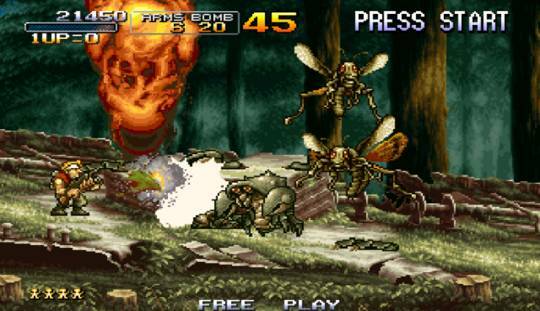 I would never say any of them are truly bad, but while Metal Slug X and 3 are often revered as the pinnacles of the series, I'd argue that their bloated longeurs - while certainly aesthetically creative, such as the zombie section in Mission 2 of the third game - do the core gameplay a good deal of damage. 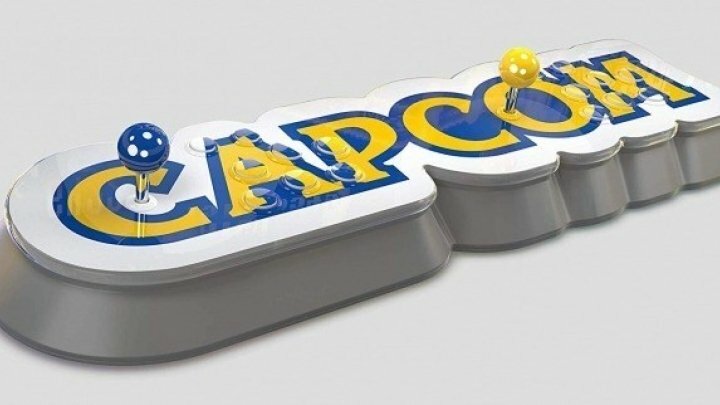 Generally, though, these two are beloved games and it's easy to see why - there's something new to discover on almost every stage, with Metal Slug 3 in particular leaning hard into zany madness that culminates in a truly jaw-dropping climax. If you do favour a, shorter, breezier experience, then you're far from short-changed here. 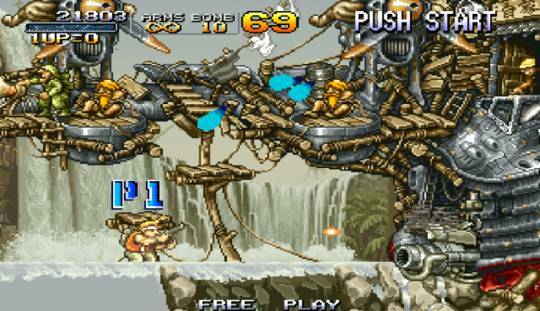 The original Metal Slug and its direct sequel offer short, sharp bursts of firearms action. To this day they're a genuine treat, not once feeling lacklustre or uninspired in the way that the later entries sometimes do. Naturally, it's down to your personal taste. The compilation itself, while near-exhaustive in its game content, has a couple of problems. 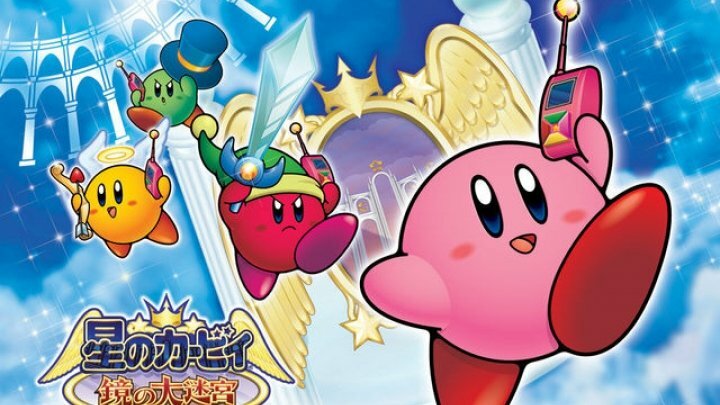 The first and lesser issue is that it eliminates the "hit-flash" from enemies - that is, the flashing of the sprites when bosses or larger adversaries are shot. This isn't crippling by any means, but it is inaccurate and unusual. It also detracts from the tactile feel of actually dealing damage. Second, and much more troublesome, Metal Slug Anthology doesn't have the greatest suite of control options. While there are plenty of choices, they're all at least a little unusual. Sideways Wii Remote requires a shake to throw grenades, while the Nunchuk and Remote pairing feels downright unwieldy in a 2D game as hectic as this. The Classic Controller is - astonishingly - not supported at all, meaning the best option is the Gamecube Controller. Even then, you can't move with the D-Pad, only the analog stick. Huh?? These beautifully-animated creatures from Metal Slug 3 have to be seen to be believed. Presentation is a little lacklustre, with unresponsive, clip-art-like menus. You've got access to fairly extensive art and music galleries from the off, with even more locked behind the rather demanding task of beating each game with only five credits. Difficult, but not impossible with practise. There's also a rather satisfying text-based interview with Metal Slug series developers, lengthy and elightening. Ultimately, it's a solid example of a compilation that's hamstrung by a few confusing decisions. A soon-to-be recurring theme with All Together Then, I fear; the greatness of Activision Anthology was rarely matched.